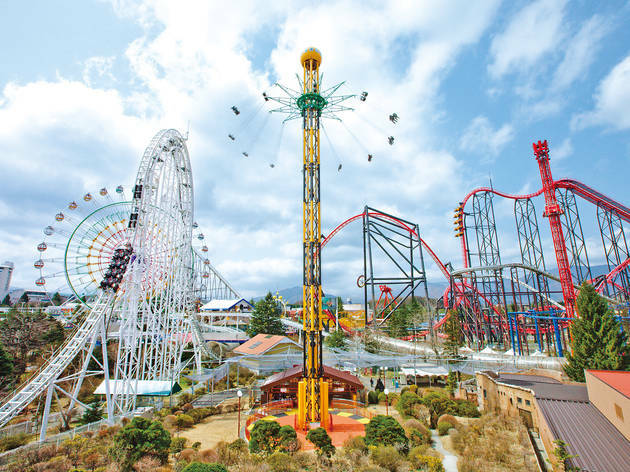 While the capital boasts a reasonably good inner-city amusement park in the form of Tokyo Dome City, dedicated thrill seekers head out of town to the foothills of Mt Fuji. The sprawling Fuji-Q Highland enjoys uninterrupted views of Japan's most iconic peak, and there's an onsen hot-spring resort next door if you need to unwind. And the thrills? Well, if you'd rather not subject yourself to the concentrated adrenalin rush of towering Fujiyama or rapid-accelerating Dodonpa roller coasters, you could always go for the slow-burn freak out of the Super Scary Labyrinth of Fear 4.0, a haunted house that takes a whole hour to get through. 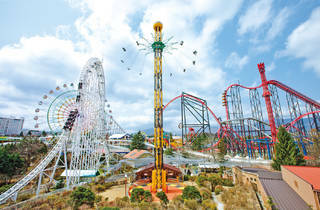 The latest addition to the park's artillery of rides, Takabisha, boasts a record-breaking 121-degree vertical drop. You can pay for the rides individually, but the best option is to get a 'free pass' that entitles to as many rides as you can squeeze into a day.